Black and white photography is all about contrast. A strong black and white photo has a contrast between its elements, whether it is the subject and the background or the background and the foreground. When you take away the color composition light becomes more dominant. One of the advantages that digital photography has given us, is the advantage of shooting it in color (RAW) and later transferring it into black and white. So practically, you won’t have to worry about shooting in monochrome or not. Just shoot in color (RAW) and later compare which one looks better. But there are some types of images that looks great in black and white. Below are a few tips that I could gather from my experience of black and white photography. A dark and overcast day can be a perfect one for the dramatic moods found in black and white landscapes. Side lighting is another great lighting condition for shooting black and white photographs. Natural side lighting is when the sun is around the level of the horizon during sunrise and sunsets. It creates long shadows bringing beautiful contrast and is great for detail and texture as well. Composition plays a vital role in all aspects of photography, but becomes more priminant in black and white images. You do not have color to guide your eyes to the subject and have to solely rely upon composition, shapes, tones, contrast, texture and lighting. Make sure the image you are converting into black and white doesn’t have a color cast. When you shoot in B/w directly from the camera you are giving up your all your color information (unless you are shooting in RAW). So many of my photos that end up black and white are images I shot in color. While editing my photographs I make sure I check the image in black and white and then I make my creative decision whether to develop the image as b/w or colored. It’s nice to keep your options open. A high contrast picture will hold the viewers’ attention. If there is a high contrast between the subject and the background, then the viewers’ attention will hold on to the subject, provided that the subject is brighter than the background. Our eyes tend to move forward to the brighter part of the image and recede to the darkest point. So consider making your subject brighter than the background or vice versa if your background is the subject. A contrasting subject is the dominant element in the photograph. It triggers strong, rigid emotion; whereas low contrast image conveys serenity or peace. When I say bright in black and white photography, it doesn’t necessarily has to be white. By bright it could mean the brighter shade or gray and by dark I mean darker shade of gray. So the main point is to keep the element you want your viewers to focus on a bit brighter than the other supporting elements. But it doesn’t necessarily mean black and white photography is all about contrast. Sometimes low contrast justifies a black and white scene the best. Image with less messy backgrounds. Subjects that rely on contrasting colors such as green and red, violet and yellow, purple and green generally don’t look good in black and white, because they fail to create contrast and end up looking same. These are no rules, but when it comes to me, whenever I come across these type of images, I put an extra effort to work on the black and white version. I compare both black&white and colored and then go with the one that looks better. Basically the idea is to create enough contrast to make the subject stand out. Now we will walk through a few of the techniques of converting a color image into black and white. If you are working with RAW in Lightroom then a click on the black and white under basic section should do the job. Also, clicking B/W from the HSL/ Color/ B&W section is useful. 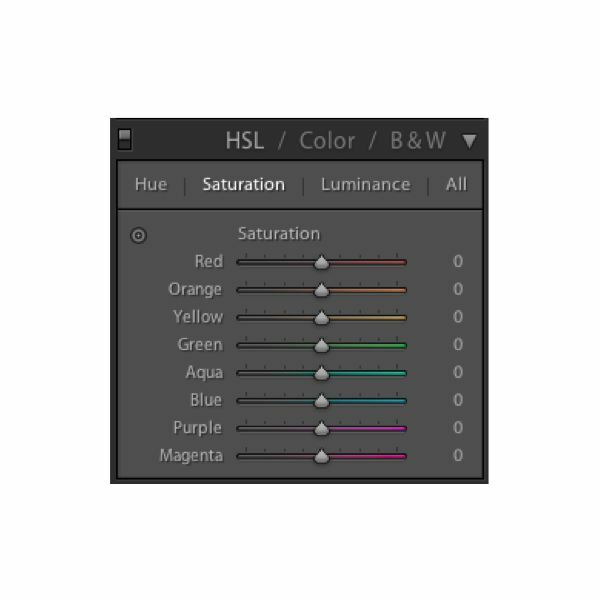 In Photoshop you can de-saturate image from IMAGE > ADJUSTMENT > DESATURATE or keyboard shortcut Command + Shift + U in MAC, Ctrl + Shift + U in other computers. Simply add a Black and White Adjustment layer. Simply add Channel Mixer adjustment layer and selecting the monochrome. Reduce the saturation to -100 , which takes away all the information. Make a new black solid layer or a new layer and fill it with black. Change the blending mode into color. About the Author: Anup ghimire is a self taught photographer, blogger and educator based in Nepal. He is interested in fashion and landscape and equally enjoys retouching images digitally. He shares his skills and knowledge with his regular workshop and has been doing tutorials on youtube as well. To view more of his work, follow him on Facebook, or visit his website: https://www.intomyviewfinder.com/. He also write about photoshop and photography on his blog, https://pixeltut.com/.